Listen to an edited version of Thomas Insel, Director of the National Institute of Mental Health and Professor Richard Davidson discussing neuronal changes from the use of mindfulness interventions for the treatment of anxiety and depression. 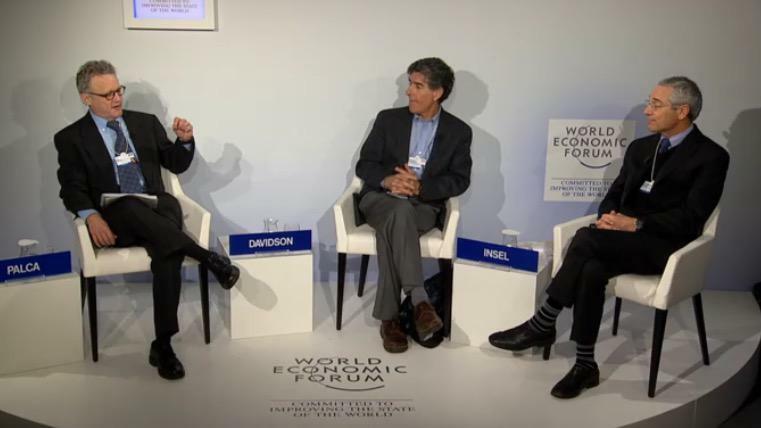 This panel took place at DAVOS 2015 and the recording was created by Mike Hanley, the Director of Communications, Digital Content and Editing at the World Economic Forum. No hype, just great information direct from the source.